The compact design of the BioWIN Lite means it requires less than 1.5m2. Its features include as standard fully automatic heat exchanger and burner bowl cleaning functions. Ash from the BioWIN Lite combustion chamber and heat exchanger is periodically removed from below the burner bowl when indicated to do so on the simple to operate InfoWIN boiler control display. Available as a hand feed appliance the BioWIN Lite has options of 100 or 200kg integrated hoppers. 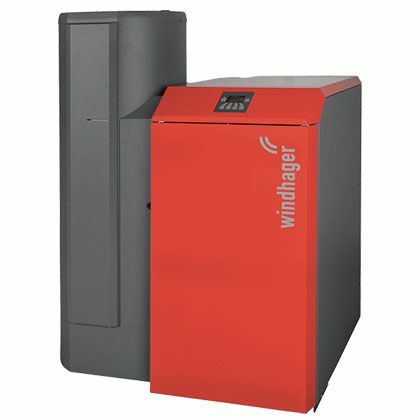 The InfoWIN display allows the boiler to be integrated into either the Windhager MES Infinity weather compensating control system or to a standard ‘S plan’ control system.